CERRUTI 1881 SS2017 Advertising Campaign celebrates relaxed, masculine elegance with a cinematic new advertising campaign. The campaign shot by the fashion photographer Matthew Brookes in an atelier near Paris and features, for the second season, the model super-star Andres Velencoso. Andres embodies the Cerruti man and spirit of Cerruti. Andres is also the face of CERRUTI 1881 fragrance campaign. The concept for the campaign is inspired by CERRUTI 1881's long connection to cinema and focuses on well-cut clothes and innovative fabrics. The campaign uses natural light and studio setting which allows the personality of the collection, accessories and talent to be the focus. Clean bold, the images include all the CERRUTI 1881 goods universe: men's ready-to-wear, leather goods, accessories, women's hand bags, and men's denim collection. The SS2017 campaign also features the launch of a denim and sportswear part integrated in the collection. 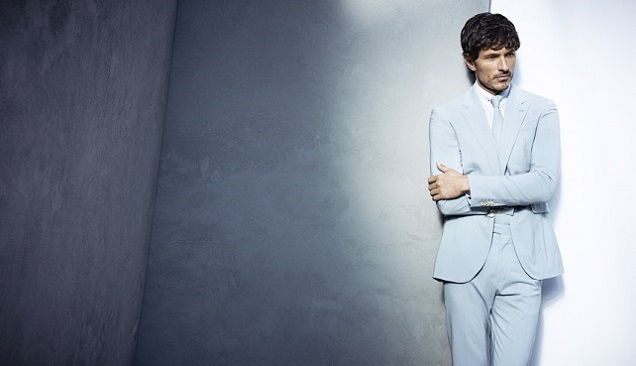 In addition to print images, a set of short films featuring Andres Velencoso wearing the clothes will be used for social media, web, and in-store usage. CERRUTI 1881 Chief Creative Officer, Jason Basmajian adds “Keeping in mood with the collection, the campaign is masculine, cinematic and relaxed. Shot in an urban studio, the face of Andres and clothes are the focus”.